Why Am I Hugging This Man? 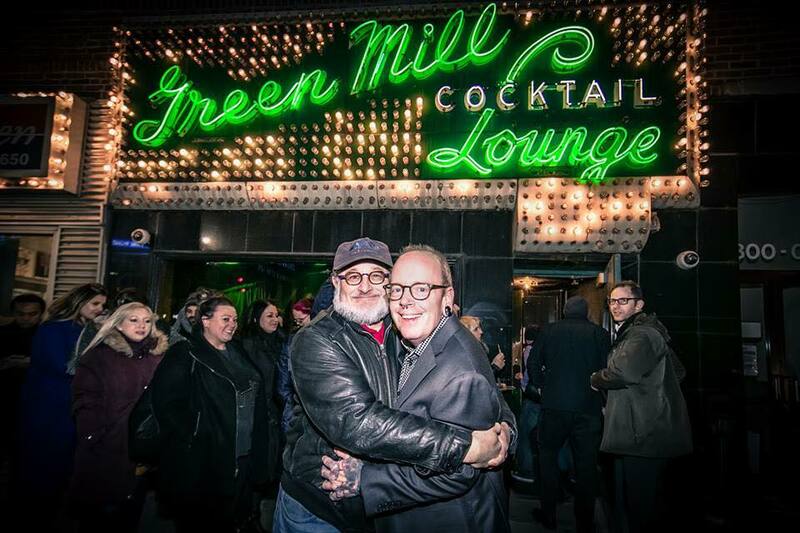 Almost 20 years ago, I met Neil Tesser on a jazz cruise, and he said I should play at the Green Mill in Chicago. I said I’d love to, having known about its legendary status for a while, and he said he’d “talk to Dave”. I figured I had no chance. I had a few cds out, but certainly wasn’t a big enough name to headline a major jazz club. Several weeks later, I got a call from Dave Jemilo, and the rest is history! About a year later, Neil called me, and asked about my thoughts on Oscar Peterson, for liner notes he was writing about a Verve reissue of “On The Town”. Those liner notes were read by the great magician and pianist Michael Close, who came to see me playing in Las Vegas and brought along his friend Penn Jillette. We got to talking and in February of 2002, I started playing in the Penn & Teller show! So, Neil actually is responsible for my gig at the Green Mill, and with Penn & Teller. Mike is appearing in a couple of episodes of Fool Us on the CW this summer – along with Penn & Teller. Check it out!. Fool Us premiered last night on the CW. Mike appeared along with Penn & Teller in their trick entitled “Love Ritual”! Check out more Fool Us including video from last night’s episode on their webpage. Jones was kindly mentioned in this Newsday article. See Mike Jones on Broadway! Jones will be a part of the Penn and Teller show from July 7 – August 16. Get your tickets now!.